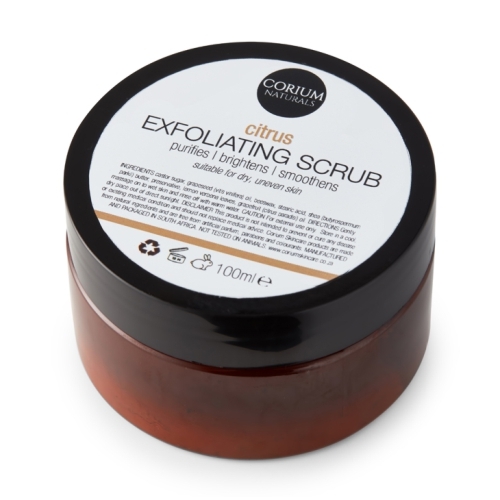 This invigorating scrub is a coarse yet creamy exfoliant, which is excellent at renewing the skin's appearance by polishing off impurities and dead skin cells. It’s a luxurious sugar scrub that’s been enhanced with a mixture of citrus oils, including grapefruit. Grapefruit oil has anti-inflammatory and anti-bacterial properties that leave your skin free from impurities. This scrub can be used once a week. 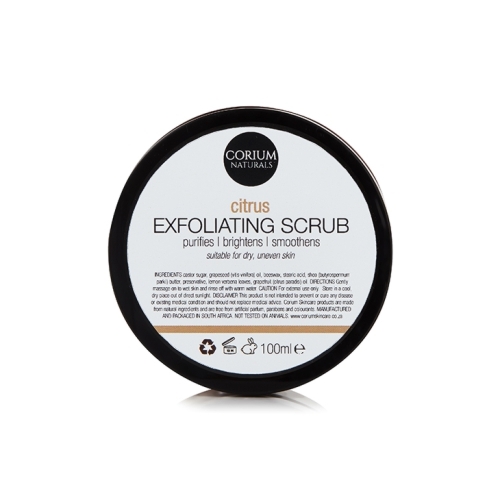 Citrus Exfoliating Scrub is suitable for dry and uneven skin types. Notify me when 100ml Citrus Exfoliating Scrub 100ml Citrus Exfoliating Body Scrub is available.